A couple of weeks ago, I got to visit Naga City. I took a flight to Legazpi, and I saw Mt. Mayon for the first time. The sight was magnificent. The sun was setting at that time, and clouds were hovering around Mt. Mayon peacefully. They say that when you get to see Mt. Mayon when you visit Legazpi for the first time, it means you're welcome there. Two hours later, I find myself in Naga City. It was two hours away from Legazpi, and we decided to spend the night there. 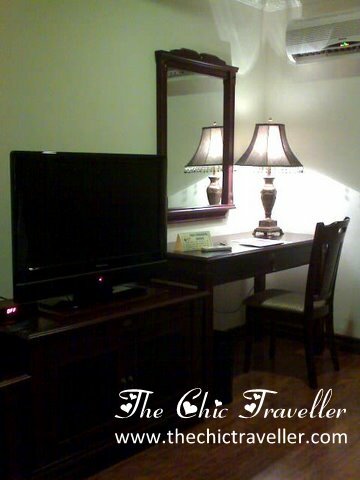 I stayed at Villa Caceres Hotel, a newly renovated hotel. The new lobby was very inviting. Huge sofas await the guests, and bright chandeliers hung from the ceiling. It had an old world feel to it that one can't help but be drawn to. The lobby was impressive, but wait until you see the rooms in the new wing. The look was very classy. When I got to the room, the first thing that got my attention was the very generous flat screen TV in the middle of the room. 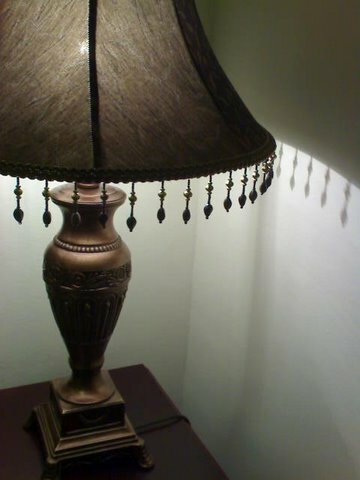 There was a small desk beside it for the guest's convenience, and a gorgeous old-fashioned lamp was put on it. It was fascinating to see that the hotel really took effort to make their classic look consistent -- from the lobby to room furniture, even up to bathroom fixtures. With the basic room amenities already reviewed, let's get to the comfortable beds. It surely did not disappoint! When I arrived at the hotel that night, it was almost midnight and I was tired from a full day's work. 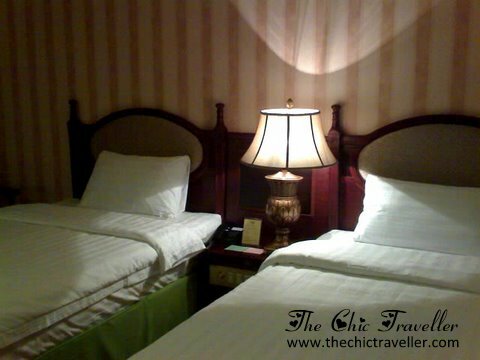 The beds at Villa Caceres had soft sheets and pillows, and it was easy to sink into them to sleep. Villa Cacere offers free WIFI access at their lobby and suites have extra amenities like a living and dining room, jacuzzi and enclosed shower and bathtub. They also have a swimming pool for their guests open from 7am to 12am, as well as an outdoor jacuzzi and indoor sauna and steam bath. For fitness buffs, there's a center with several fitness machines and equipment. They have in-house fitness trainers to assist their guests as well. Overall, I loved my short stay at Villa Caceres. 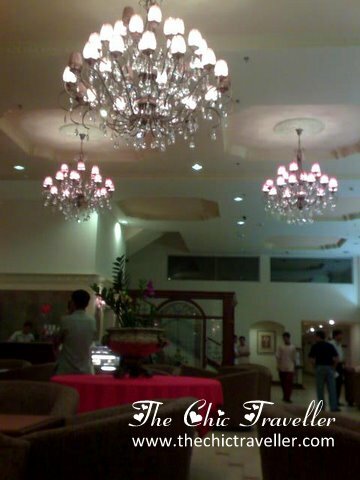 It was a great experience, and this hotel is definitely one to consider when you find yourself in Naga City. Flat screen TV? I'm impressed, Villa Caceres does know how to upgrade its room facilities. Not all hotels, not even those in the same category in Manila, Cebu or Davao have done that. Hi, I stumbled upon your blog through The Nomadic Pinoy! So glad to see fellow Pinoys with a zest for chic travel! I, myself, am not immune to that! I love travel of all kinds, whether on-a-shoestring or luxe and chic! I'll be lingering and following your blog as well! yah..very affordable and the rooms in the new building are superb!! Wow, presidential suite for 8k? That's like $190...hmm not bad. Wow......The Hotel is very Modernized full with all the comforts and facilities The interiors are very nice and a lot of detailing has been done...!! I would love to spend my holidays out here. Thanks for your generous review. We just created recently a new FB page, is it okay to post this old review of yours? @Villa Caceres Hotel: Sure, feel free to post!